Online Predators, Cyberbullying, and Sexting: Creative Strategies to Keep Your Child Safe Online. Are your worried about your child’s exposure to violence and age inappropriate media? Are you concerned that they may be exposed to images and information they are not ready to handle? Are you concerned about your child being cyberbullied or joining others and using technology to bully their peers? Are you scared that an online predator may be interacting with your child? You are not alone. Online Predators, Cyberbullying, and Sexting: Toto We’re Not in Kansas Anymore! 5 Creative Strategies to Keep Your Child Safe Online. Do you think your child is too young to be exposed to online violent and sexually explicit material? Statistics suggest your child may be exposed to negative influences of online media at an early age! This presentation will cover specific creative strategies you can implement in your home to improve your child’s online safety. To book Laura to speak contact info@thecreativityqueen.com or call (941)540-8498. Laura Dessauer, Ed.D, ATR-BC is board certified art therapist with a doctorate degree in counseling psychology working with families for 23 + years in over 21 school districts. She is the author of the forthcoming book, I’m Not Crazy I’m A Mom: How to Keep your Sanity While Creatively Raising Confident, Compassionate, Responsible Children. Laura’s work has been included in Parent’s Magazine, eHow Parenting, YourTango, FoxNews, PBS This Emotional Life, Working Mother, Head Drama, Gal Drama, and she blogs for Psychology Today. 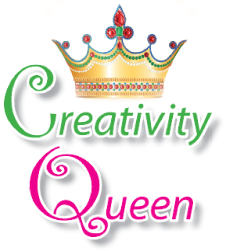 Laura is recognized as an international presenter, esteemed clinician, author, and her business, the Creativity Queen, LLC, was the winner of the 2007 Small Business of the Year Award (SCORE). I’ve been reading about about the recent no-children restrictions on airplanes and in restaurants. I think it’s an extreme response and feel that social situations are an opportunity for children to learn how to manage their behaviors in public and to develop social relationships, even when things don’t always go their way. Pick child-friendly venues such as water parks, the playground, family restaurants, the beach, or even at home in the playroom as opportunities to help your child learn appropriate social skills. Many parent’s fear that their child may be left out or rejected by their peers or worry that their child’s behavior is not “normal” or typical. I want to share with you tips and strategies I teach parents and children during our child therapy sessions. These 5 tips will help your child have social success so they don’t grow up to be a jerk, brat, or bully. 1. Set boundaries: Your child needs to be told “NO” and as a parent it is important for you not to give in when they start to whine and beg. So when you go to the grocery store and they start to whine that they want a candy bar before dinner and you say “NO” watch how they respond, and what you do. If they blow their top with a melt-down do you give in and give them the candy bar so you’re not frustrated and embarrassed? What lessons are you teaching your child (hint: have a fit and you’ll get your needs met). 2. Give consequences: Children learn through experiences and every experience is an opportunity to learn how to cooperate, be flexible, and respect others. When your child acts out in a way that’s inappropriate think of it as a learning opportunity. For example, when your child grabs a toy and hits his sister, what do you do? If you ignore it then it sends a message that the behavior is okay, if you grab your child and yell you send a message that it’s okay to yell and grab. So think of consequences that can help your child learn new behaviors, such as speaking with your child and letting them know that their behavior is not acceptable and that the consequence is he will not play with his sister or the toy (be concrete and specific). Make sure the consequence is immediate and it is related, especially for younger children. 3. Do you rescue: When your child has a problem to you jump in to fix it? Yes, parent’s want what’s best for their children, but if you are always trying to solve their problems how will your child learn to deal with difficult situation? Ask them questions on how they could handle the situation and what they could have done differently and allow them an opportunity to explore their choices. 4. Watch your behavior: How do you respond when you get upset and things don’t go your way? Kids model their behaviors from the adults in their lives, so don’t expect your child to be calm and respectful if you are flipping another diver the bird or being rude to a sales person. 5. Create playing rules using this creativity activity: Brainstorm together with your child and have them come up with a list of positive behaviors or things they should do when playing with a friend or sibling. Then have them write the words and/or make images (depending upon their age and developmental stage). You can use markers, magazine picture, and words to reinforce the rules. Post these up at home or in the playroom and whenever your child starts to stray from the rules prompt them with a reminder “what are the rules” and give them an opportunity to self-correct. Your child will feel more invested in remembering and implementing the rules when they have taken the time to create and illustrate them. These 5 tips will help your child create social success. Practice these with siblings and peers in locations where if your child becomes upset or overwhelmed you can help them manage their feelings and behaviors. If your child has difficulties managing frustrations and behaviors they may need additional support, and child therapy can help. Are you worried about your child social development? Are you fearful that their social behaviors are not typical? Are you wondering if your child needs therapy and more support? We can help! Schedule a Complimentary Child Support Consultation and find out how we can help your child be socially successful.